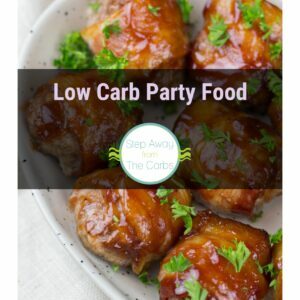 These low carb party bites are simple and easy to make, and will please even the pickiest party guests! Three ingredients. Cucumber slices, salami, Swiss cheese. 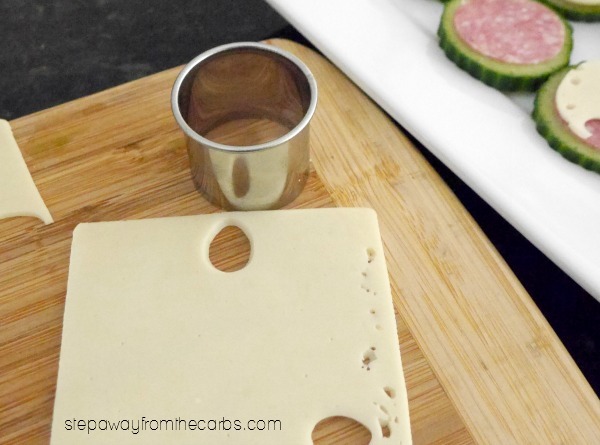 I use the Swiss cheese because I like the fun holes so that you can peek through to the salami. But obviously you can use whatever you like. To make 20 bites you’ll need one English cucumber and approximately six slices each of the salami and cheese. Find a round cookie cutter the same diameter (or a tiny bit smaller) than the cucumber slices. Cut the salami into rounds – you can get about three per slice. Then repeat with the cheese. 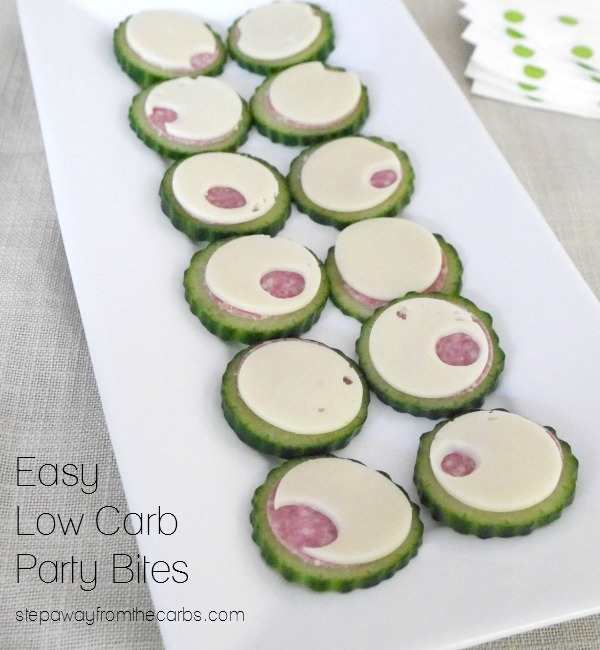 I love the combination of the juicy cucumber, salty soft cheese and the slight spice of the salami. As for the carbs – these contain 10.6g net carbs for the ENTIRE batch – including all those off-cuts! Actually I sometimes end up eating the off-cuts as I’m preparing these since I tend not to eat much at my own parties! There are lots of variations that you could work into this simple recipe – what combination would you choose?